Get the immersive experience of DTS Virtual: X creating the effect of having sound reach you from every direction. The aluminum tweeters and integrated speaker chamber allows for a cleaner and more accurate sound. 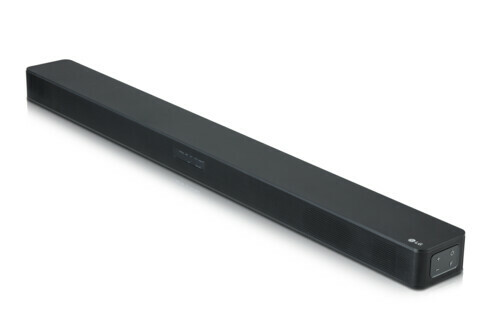 Coupled with a wireless subwoofer, the SK5 delivers 360W of powerful high-quality sound. The modern design looks robust, but still fits elegantly in your room. 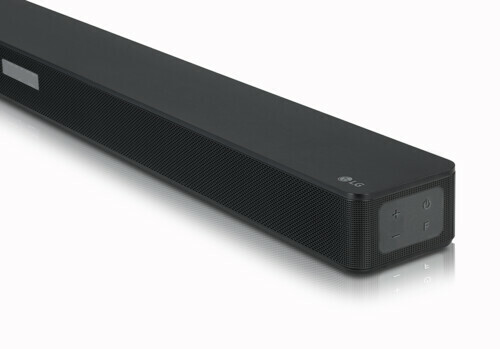 Connect conveniently to your LG TV with wireless sound sync without any cables.